We get excited with each new sneaker collaboration because we truly feel that there can be no end to the number of comfortable, on-trend shoes out there. From the new Nike sneakers an exec calls "mind-blowing" to the best-selling Vans that fashion girls love, we're pretty committed to keeping you constantly updated on the latest in the sneaker world. Nothing makes us happier than when the comfiest option is also the most stylish. So when our favorite UK-based e-tailer teamed up with Reebok on a sneaker collab, we knew the results would be something worth talking about. ASOS White, the ASOS brand known for its clean and cool minimal vibe, created three styles with the sneaker company that are making us look forward to spring already. You can, of course, buy any of the sneakers right now, but the white eyelet and light-blue pinstripe finishes are giving us springtime vibes more than anything. Two of the styles are the low-top Reebok shapes that the brand is known for, while the third pair is a cool high-top sneaker with thin velcro straps and a bold graphic stripe pattern. 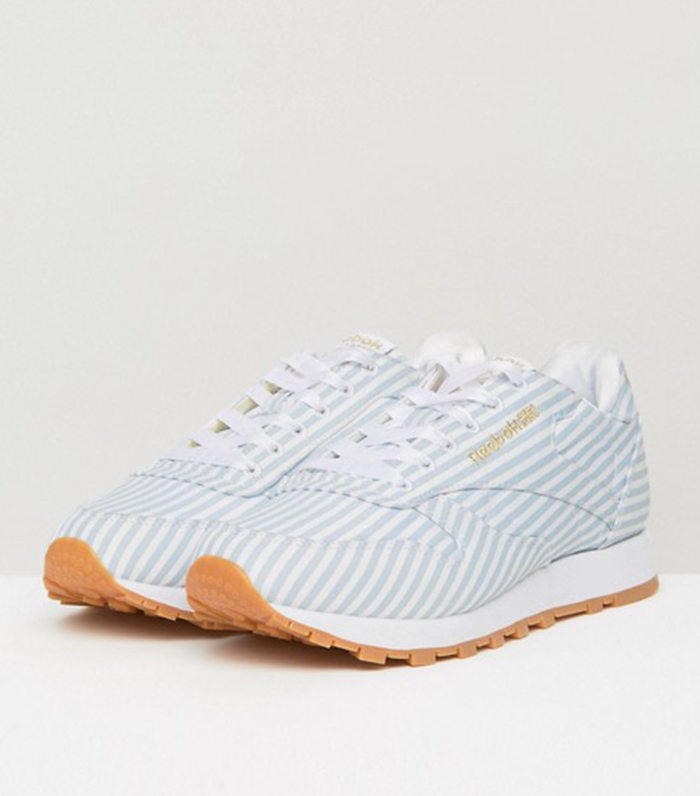 Well done, ASOS White and Reebok. Consider your new spring sneakers found. Scroll down to shop the ASOS White and Reebok collaboration. Next up, the sneakers one editor won't fly without ever again.